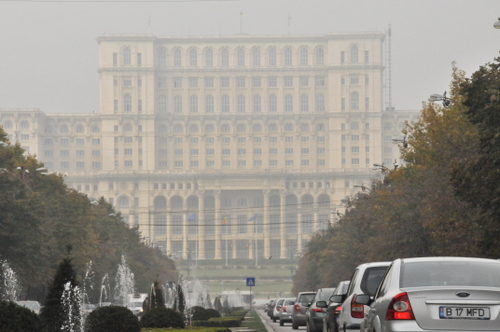 Looking into Bucharest’s architecture, one could easily observe that it represents one of the most evident proofs of the obsession to express supremacy and to exercise control of Nicolae Ceausescu, the dictator who came to power in 1965. He started by posing as chief architect of “New Romania”, but his decisions had a brutal, yet intense attack on Romania’s architecture and history, reforming Bucharest into one of the most affected communist cities in post Second World War Europe. 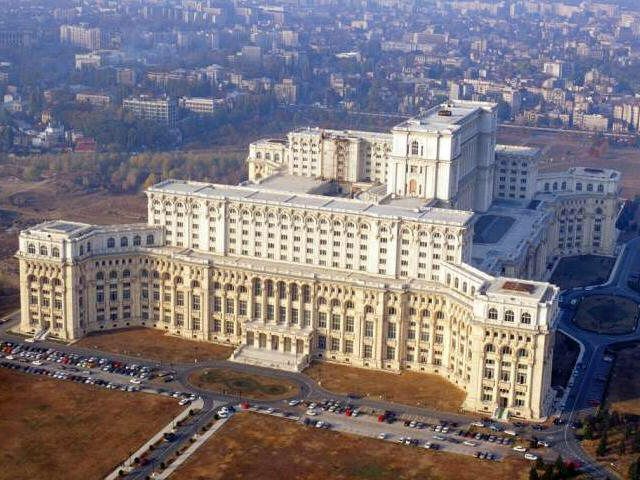 The Romanian communist era, distorted Bucharest from the Small Paris of the Balkans to a copy of the URSS’ architectural style. Its architecture went from the before Second World War cosmopolitan soft Classical style to the imposing Socialist Realist one. The House of the Parliament (as it is known nowadays) is one of the still living memories of a traumatic past of tyranny. The Palace is the very picture of a cruel regime which mutilated a nation and managed to erase the beauty and soul of the city. Its surface (330 000 square meters) catalogues it as being the biggest administrative construction in Europe and the second in the world, after the U.S. Pentagon. The Guinness Book ranks its volume as the third in the world. 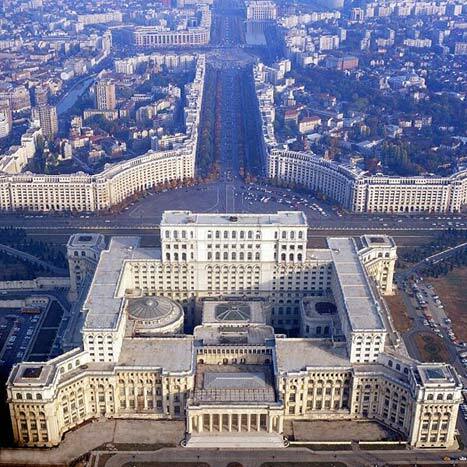 The Palace’s scale, design and surroundings were the ultimate manifestation of Ceausescu’s dream which calculated this in order to express his power. In order for this construction to take place, entire neighbourhoods were demolished with a surface later compared with the size of Venice. Valuable historic constructions and churches were destroyed, alongside 40 000 people that were forced to move (vision of apocalypse). They were forced to leave everything behind because of the “systematisation”and move in clusters of badly built concrete towers and apartment blocks in proletarian areas of the city. 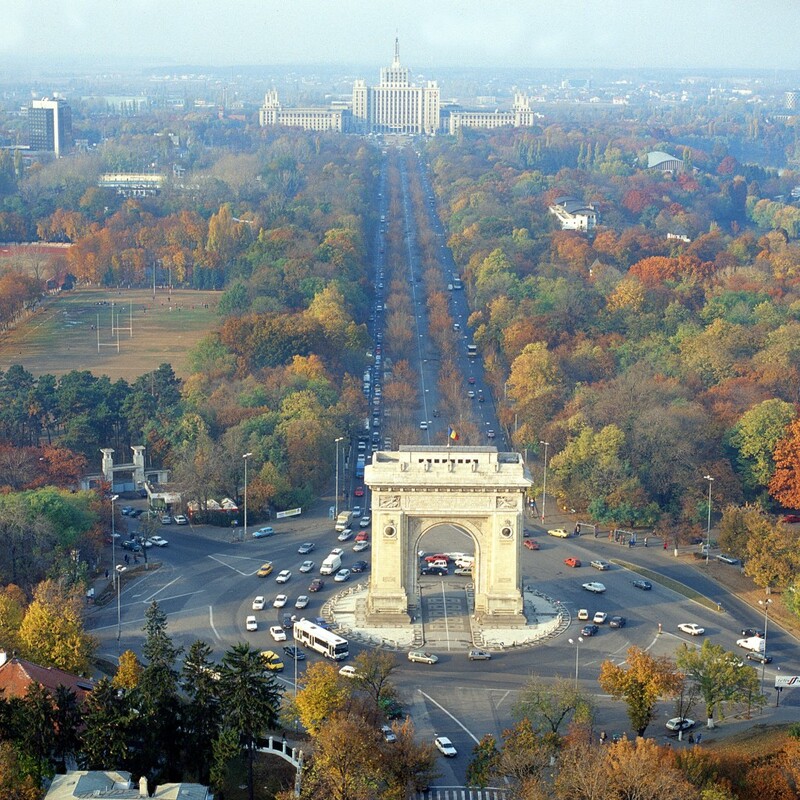 The Boulevard of Victory was cut through the centre of the city to provide Ceausescu with a suitably path to his building. At one end of the Boulevard is the Circus constructed entirely of simple boring concrete portions, while at the other is the governing Palace; in one side is the dirty reality of the people, while on the other side is the luxurious taste of a Tiran. Architecture finds justification here in politics not in art as even the layout with straight roads is the permanent symbol of order, control, and power. People were not even allowed to walk on the streets outside the gates of the Palace, so there was only a large empty boulevard which was haunting the city, making them understand that any rebellion form would be pointless against the power of a totalitarian state. The “fortress” did not become more useful after the revolution, even though car traffic was permitted. Most of the stores located nearby bankrupted as people continued to prefer the other boulevards for evening walks because these streets simply did not go anywhere.